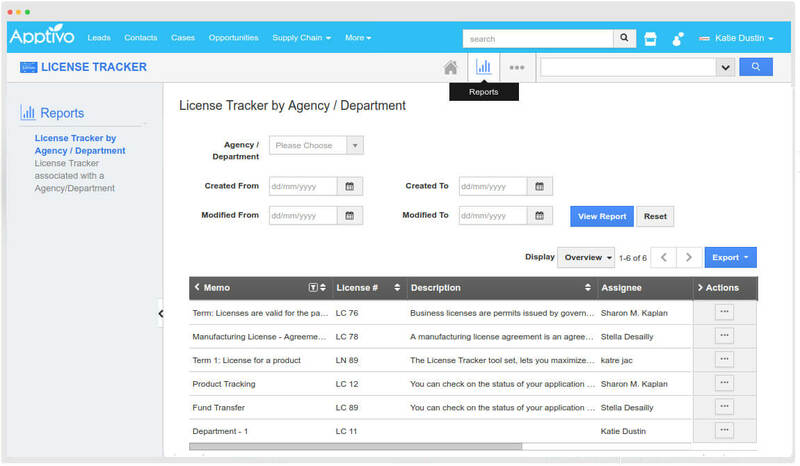 Check for Licenses and handle it effectively using License Tracker Application. 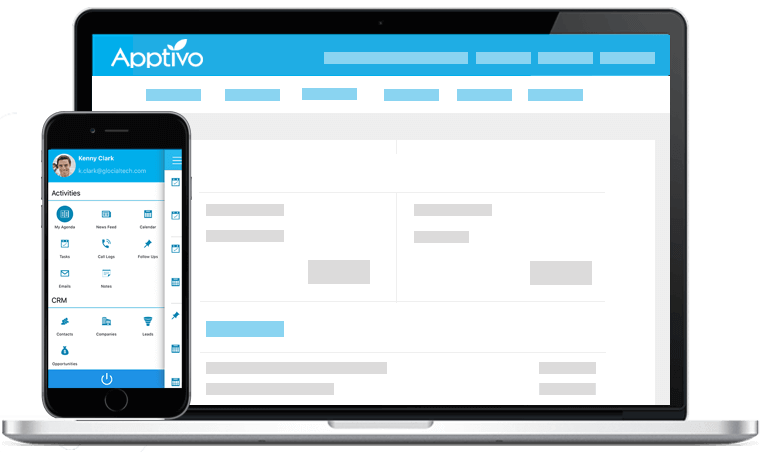 Make licenses needed for your business - Manage it - Categorise it according to the Department and Agency - Get your License tracking reports - Everything using Apptivo License Tracker. 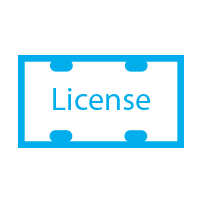 Dawn of your license by giving information about your license, issue and renewal date. Create a follow up prior to expiration to remind them of their license. 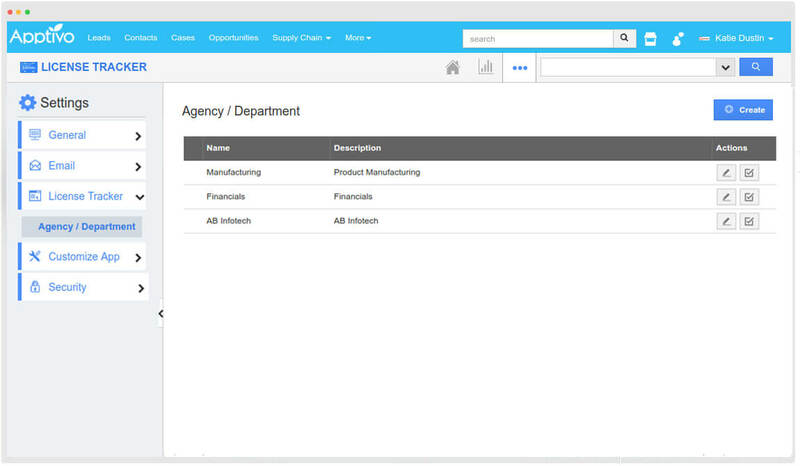 Add up your needed agency or department of where you want to categorize your licenses. Track and group it whenever needed for reference. 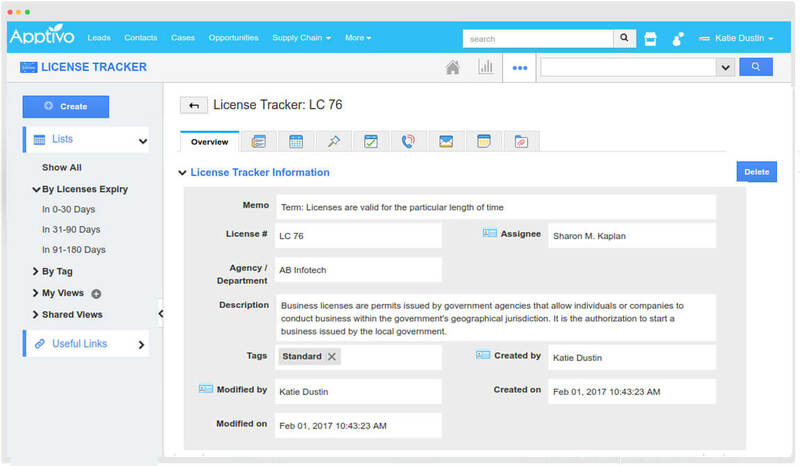 View and generate your summary of the license associated with agency or department within specific period for future reference and criticism. 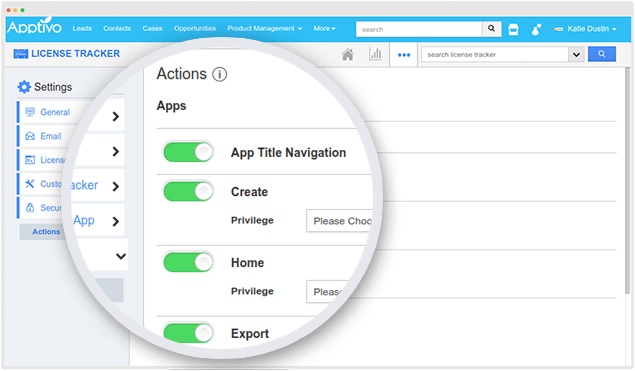 Give your app an incredible security by empowering different propelled features which turns out to be in a split second obvious in all objects around apps.